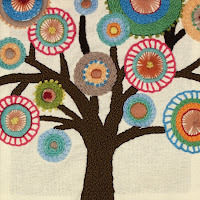 You'll find our newest selection of kits in the Crewel Embroidery Kits section of the store. They're from Dimensions new Handmade Embroidery collection of kits, complete with everything you need to make your own creative needleart. 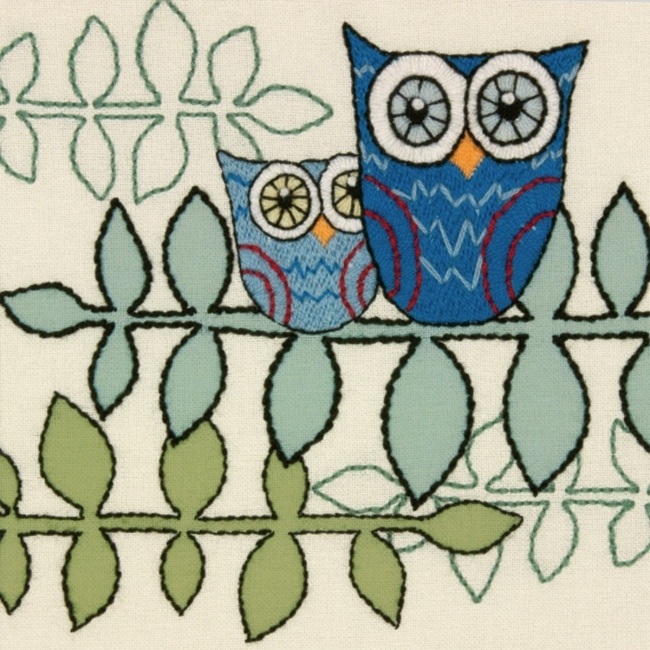 These kits feature modern Crewel Embroidery Designs, perfect for today's home decor! The Tree Crewel Embroidery Kit includes preprinted cotton fabric, presorted wool yarn, embroidery needle, and easy instructions. The crewel design is preprinted on the fabric, saving you the time of having to transfer the design. The yarn is conveniently presorted and labeled by color number and thread count, making it easy for you to select the right thread. Preprinted fabric and presorted yarn means you'll be ready to start stitching right away! Your finished needleart will be 9-1/2" square. 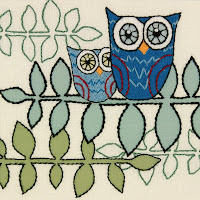 The Owl Crewel Embroidery Kit includes preprinted cotton fabric, presorted wool & acrylic yarns, needle, and instructions. These new crewel designs are a modern take on a classic embroidery technique. In crewel embroidery, wool yarn and a variety of stitches are used to create texture and dimension. One finishing option is to mat & frame your handmade needleart for display in your home. 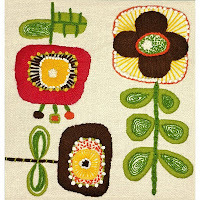 Another is to applique the finished crewel design to a pillow or other textile. The Blooms Crewel Embroidery Kit includes includes preprinted cotton fabric, presorted wool & acrylic yarns, needle, and instructions. Other supplies you'll need for your project include an embroidery hoop to hold your fabric while stitching and scissors for snipping threads. You'll find hoops, scissors, and more in the Embroidery Supplies section of the store. Visit the Crewel Embroidery Kits section for details on these kits and to see our complete selection of crewel kits, including classic and modern embroidery designs for beginners and experienced stitchers. Weekend Kits offers a unique selection of modern DIY Art & Craft Kits across a variety of crafting categories. Kits are a creative gift giving idea for birthdays, holidays, and other special occasions. Stop by today and be ready to create something new on your next Weekend at Home. Thanks for visiting the Weekend Kits blog! Love that tree! Was sent by Funky Finds - and I'm certainly finding lots of funky things here! Glad you stopped by - thanks for the nice comment!